Using the power of nature - 100% renewable electricity. Last year, we sourced all of the electricity we supplied to customers from renewable generators, including more than half from hydroelectric generators and a large proportion from wind. Based on this success, we are planning to do exactly the same this year. Since we tend to source our power from renewable generators, the average carbon content of our electricity is far below the UK average, giving you peace of mind that you are also doing your bit for the environment. 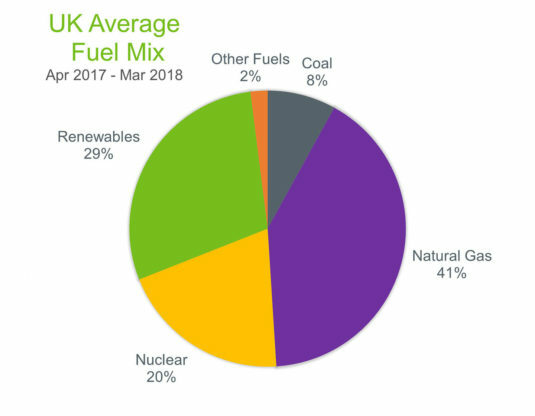 *Our Fuel Mix Disclosure follows Ofgem’s guidelines which displays our Fuel Mix for our entire electricity supply license which include domestic and non-domestic electricity volumes. 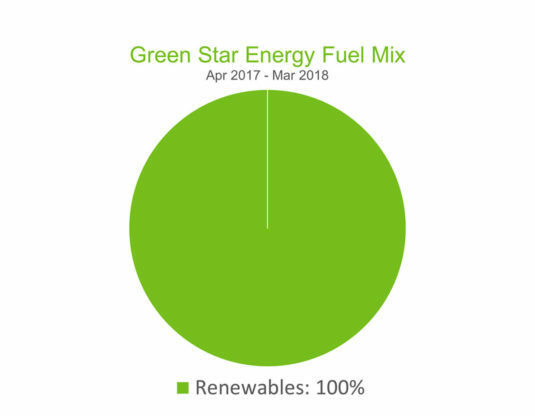 *Green Star Energy is the residential trading name of Hudson Energy. For electricity we can make active choices about where we source to ensure we keep the carbon content as low as possible, however with gas this is more difficult, and the carbon content is more or less the same no matter where it is sourced. 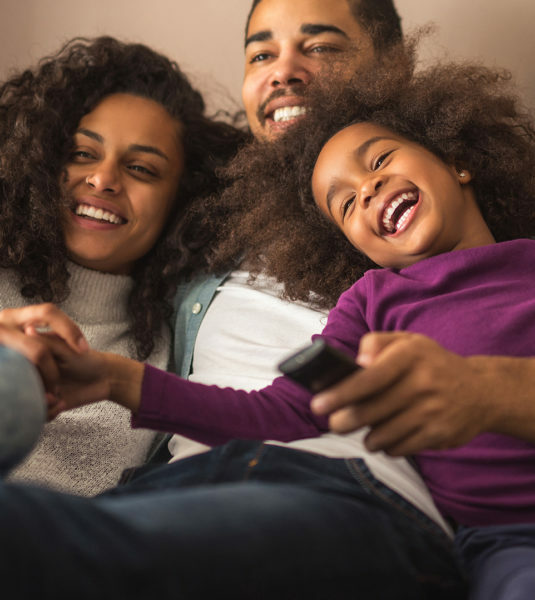 Green gas, however, is becoming increasingly viable and we are actively looking at how we can offer our Hudson Energy commercial Green Gas product to our residential customers. 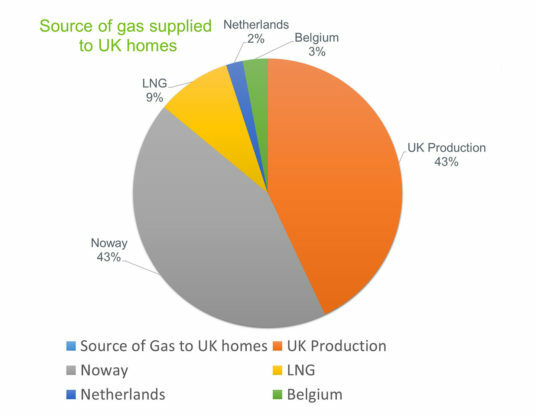 Around 43% of gas supplied to the UK is still extracted and piped to your home from the domestic sources in the North Sea, though this is likely to reduce in the future. The majority of with imported gas is sourced from Norway smaller amounts piped in from the Netherlands and Belgium, the rest is shipped in as Liquefied Natural Gas from more distant sources including Qatar and North Africa. Offering you a range of exclusive benefits to give you something back. Using the power of nature - energy you’ll feel good about. Tony found the best deals available to us on the market for our water, gas and electricity. Tony also managed the move across so we had very little to do. Excellent service and value. Dave Horner, Smith Bros (Caer Conan) Wholesale Ltd.
Was offered an electricity supply check after purchasing eco showerheads from SaveMoneyCutCarbon. It was to my advantage to change to a new supplier which we did and the whole process went through without any problems. I am still satisfied after nearly a year with the new supplier. Thank you SaveMoneyCutCarbon. Swapping energy suppliers was easy, we didn’t have to do anything as SaveMoneyCutCarbon handled the whole process. The best bit is we’re saving money and supporting a local business at the same time.